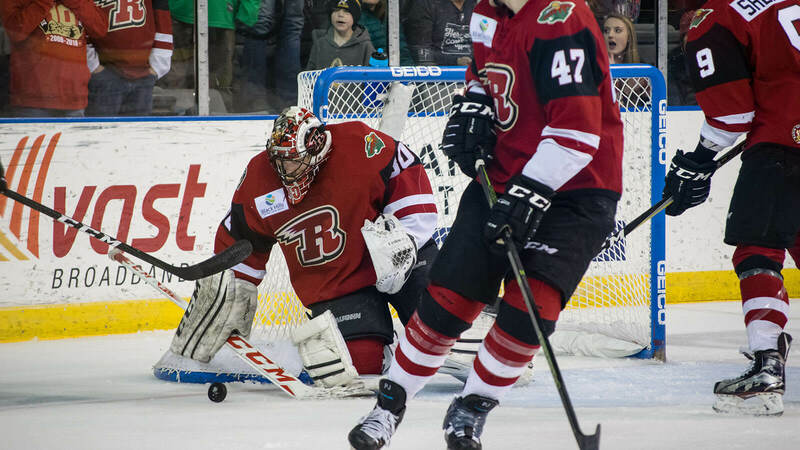 After a thrilling overtime win against the Quad City Mallards Friday night, the Rapid City Rush look to cap off their final home game of the season with a statement win. RAPID CITY, SD — After a thrilling overtime win against the Quad City Mallards Friday night, the Rapid City Rush look to cap off their final home game of the season with a statement win. Rapid City didn’t waste much time in getting the night’s first tally. Just 3:40 into the opening frame when Andrew Radjenovic was able to collect a rebound off a shot from Daniel Leavens and get the puck by Mallards netminder Eric Hartzell for the early 1-0 advantage for the Rush. Quad City responded with a pair of goals of their own. The first came on their first powerplay of the night when Matt Pohlkamp fired the puck under the glove of Rush netminder Christian Frey to square the game at 1-aside. The Mallards took a 2-1 lead off the first professional goal from Tommy Muratore at the 12:54 mark. Rapid City did have the advantage in shots-on-goal, leading Quad City 15-to-9 but the Mallards took advantage of their powerplay chances going 1-for-2 while the Rush were 0-for-1 in the first 20 minutes. The middle frame proved to be the downfall of the Rush as the visiting Mallards pocketed a pair of goals in the first two minutes. The first came just 0:27 into the frame when Ryan McGrath sent a missle by Frey for his 11th goal of the season. Nick Bligh was able to pile on the pressure with his 10th goal of the season that came at 1:55 to give the Mallards a 4-1 advantage. Coach Tetrault made the call at this point to swap out his netminders and bring in the #30 Danny Battochio that resounded in cheers from the fans in attendance. The loan goal that the Batman let slip by came at 10:48 when Chris Izmirlian collected his own rebound at close range and snuck the puck by Battochio for the 5-1 advantage. It looks like having Battochio between the pipes sparked a level of enthusiasm that this team needed to claw their way out of the 4-goal deficit heading into the final 20 minutes of action. Willem Nong-Lambert got his first professional goal when he deflected a shot from Radjenovic at the 3:01 mark to cut the deficit to 5-2. Radjenovic lent another assist at 5:17 when Daniel Leavens pocketed the rebound and sent the puck over Hartzell to pull the Rush within a pair of goals. Radjenovic sent the crowd into a frenzy at 6:51 when he scored his second goal of the night and pulled the Rush within a single tally of the visiting Mallards. Rapid City had numerous scoring opportunities over the last 13 minutes of regulation but were not able to get the equalizing goal, even after pulling Battochio for the extra attacker. Quad City ended the night outshooting Rapid City 38-to-35 and went 1-for-2 on the man advantage while the Rush were not able to capitalize on their lone powerplay chance. Eric Hartzell is credited with the win, stopping 31-of-35 shots on the night while Danny Battochio takes the loss stopping 25-of-26 shots in relief for Christian Frey who stopped 8-of-12 shots faced. With the win the Mallards pulled ahead of the Rush by a single point and sent Rapid City into the cellar for the league. Both teams will square off for the final time ever on Wednesday, April 4th, from the iWireless Center. Puck drop is scheduled for 6:35pm CT.